If you don't already know, and somehow managed to ignore the graphic directly above this text, I recently went through and did a major update to my series, The Eyes of The Sun. Yes, the second "The" is still deliberately capitalized, however, in the text itself, it sometimes is and sometimes is not. That part hasn't really changed. What has changed includes the spiffy covers you see above, the formatting (making all of the font sizes and indents uniform and in line with all of my more recent books), and another round of major edits, especially for Eyes, which for whatever reason, was my problem child. Because of this, I'm dedicating this week to making some noise with the intention of drawing you in and piquing your curiosity about this series. 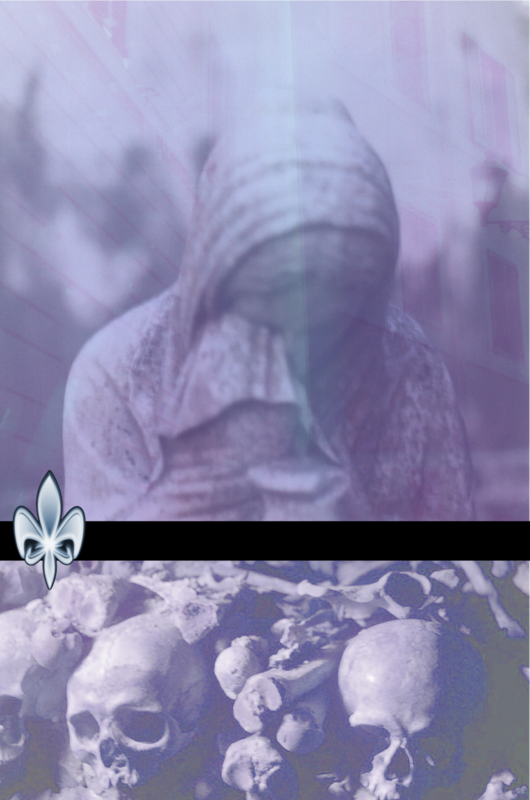 This, minus the fleur de lis, was my original cover concept. The image was a combination of three photos that either I or my husband took in New Orleans and Paris. Looking back, it probably would have worked out better than the original cover I uploaded (which can be found here), but I allowed myself to be talked out of using it because the images were too morbid and reminded my test audience of the holocaust. Additionally, through the magic of Google Drive and my paranoid tendency to hoard back up copies of everything, I have deleted and alternate scenes. Granted, most of this is not fit to see the light of day, and what I am willing to share has not gone through an edit, but I managed to find a few interesting tidbits. Note that Panic contains spoilers if you have not yet read The Eyes of The Sun. Metairie Cemetery- A very old scene that has nothing to do with the book that eventually became They Eyes of The Sun. Panic- What would have been chapter eight of Bluebeard's Children had I not scrapped my initial start. And of course, no post in complete without Easter Eggs. I had posted some earlier this spring and they can be read here. But I can't believe I missed the biggest Easter egg of all. I found this CD Rom game at Half Priced Books not long after publishing Bluebeard's Children and two things struck me. One, the plot of this game is pretty much the plot of Bluebeard's Children if I had decided to market to tween girls. 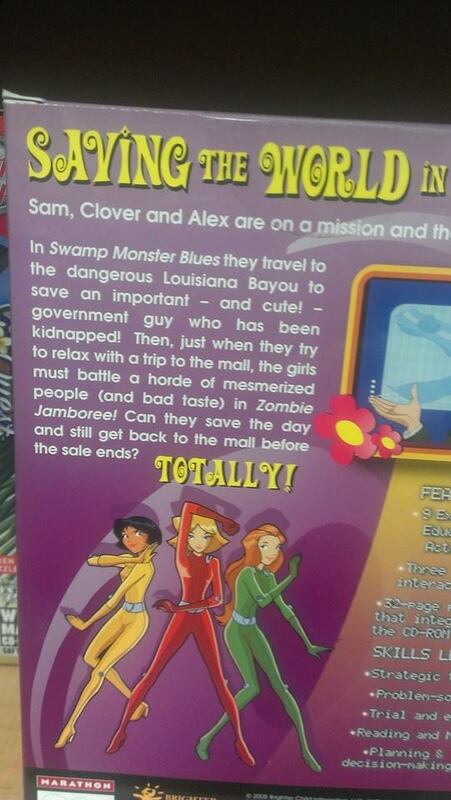 And Two, Clover, Alex, and Sam look a heck of a lot like my vampire trio of Ingrid, Kaylee, and Layla. So naturally, as I was writing Mother of Darkness, I added the names Clover, Alex, and Sam into the book. Check back later in the week when I post a special bonus short story about Lucy's parents that is bound to make you cry and hate me. No, I'm actually being serious. It's sad.